July is here! That means 5 EXCLUSIVE and AMAZING lecturers for you to see! What better way to see all 5 then to become a VIP Member! What does becoming a VIP Member mean? Rick Merrell: Rick is a FISM winning World Champion of Close-up magic. Join Rick as he shares with you what made him the champion that he is by sharing some of his visual magic and routines that made him so successful. From close up magic, to corporate magic, to comedy magic, there WILL be something here for everyone! Imagine, all 5 of these lectures at only $10 a piece? It's not imagination, it's REALITY. 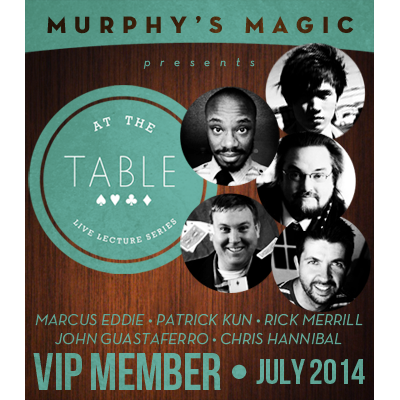 Become a VIP Member today, and get a front row seat to all 5 of these fantastic performers for only $49.95!